FAQHave a question? Find the answers to your most frequently asked questions. In order to make your eileenfisher.com experience as easy and enjoyable as possible, we've compiled a list of frequently asked questions and answers. If you have a question that is not addressed below or a thought you'd like to share, please let us know. How to place an order using Guest Checkout? Note: You will not have either option when entering your payment information. You will need to click the link to return to your “Shopping Bag” to apply. 3. When you are ready to proceed with your order, select "Proceed to Checkout." 4. On the Sign In page you will need to complete the email field under Guest Checkout and select "Checkout as Guest." 5. Follow the steps to enter your billing, shipping and payment information before submitting your order. If you have an EILEEN FISHER account and choose to use the Guest Checkout option, your order will not appear in your account history. Orders placed using the Guest Checkout will NOT be applied to your EILEEN FISHER Rewards. How do I cancel an order placed using Guest Checkout? If you shopped using the Guest Checkout, please contact our Customer Service Team. Our Customer Service Associates will make every effort to assist you in canceling your order for up to 45 minutes after order submission. Also please note if you are a registered EILEEN FISHER customer, orders placed using the Guest Checkout option will not appear in your account history. I am looking for a particular item not offered on your website. Can you help me in locating it? We have a Personal Shopping Team devoted to helping you find the pieces you are looking for. Contact them by email or call toll free 1.866.512.5197 Monday-Friday, 9am-10pm EST and Saturday, 9am-5pm EST (excluding US holidays). You may also chat with a Customer Service Associate by selecting the "Live Chat" button Monday-Saturday, 10am-5pm EST (excluding US holidays). The following policy is for US orders only. For our International returns/exchange policies please click here. If you are not absolutely delighted with the EILEEN FISHER pieces you purchased, we make it easy for you to return them for free. We accept returns and exchanges at our EILEEN FISHER retail store locations or you may also ship your return back for free using our pre-paid return label. To print your free return label click here. For more information about returning an order, click here. How do I know which size is right for me? At EILEEN FISHER, simple shapes are everything. We create pieces with ease and movement, in only the best materials, so a woman feels comfortable in every sense. Because our designs are often relaxed and less structured, our fit varies by style—and by personal preference. You may want to size up or down. Our collection is currently sized from Extra Small to Extra Large (S-XL available in all styles; XS in most styles). We also offer Petite and Plus sizes. Our clothes aren't just about looking good, they’re also about feeling good. Click on our new fit chart to find your perfect fit. Where can I shop for special sizes? 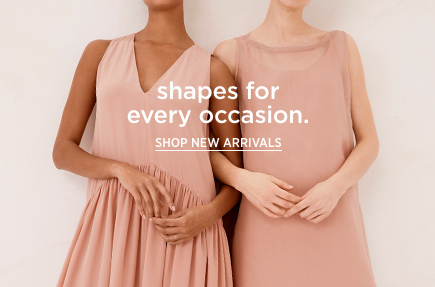 We offer both Petite and Plus sizes online, as well as in select EILEEN FISHER stores, department stores and specialty stores across the country. Most EILEEN FISHER stores carry Petite essentials. To learn which stores carry an extensive selection of Petite or Plus sizes, click on Store Locator and look for the asterisk! Can I place an order online and have it shipped outside of the US? 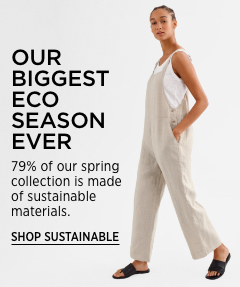 If you are located in the US and would like to have an order shipped to an international recipient you can do so by shopping eileenfisher.com and using the BorderFree Global Checkout. Please be sure to visit the international section of our website and select the country you will be shipping to in order to shop items available for delivery to that particular country. We now ship to over 90 countries. Can I change my shipping information after I have placed an order? Unfortunately, shipping information cannot be changed once you submit your order. Because of our commitment to processing orders quickly, we are unable to make modifications once an order begins the fulfillment process. We apologize for any inconvenience this may cause, and hope that in the majority of cases, our faster processing times will work to your advantage. If you have any additional questions about shipping your order, please contact our Customer Service Team. Click here for US estimated delivery times. Click here for International estimated delivery times. If you wish to cancel your order after it has been submitted, there is a 45 minute window in which you may do so. During this time, please contact the EILEEN FISHER Customer Service Team and they will make every effort to assist you. Our Customer Service team is available during business hours, Monday through Friday, 9:00am-10:00pm, EST and Saturday, 9:00am-5:00pm, EST (excluding holidays) in order to cancel your order. Why am I billed for my exchange order? When an item is returned to us, we process a refund for that item. If you wish to exchange it for a new item, we will create a separate billing transaction to charge you for the new item. If you have additional questions about your return, please contact our Customer Service Team. How can I change my email login and password? To change your email and password, sign in to My Account and click the "Account Information" link in the left hand of the page. What is your APO Shipping Policy? APO/FPO addresses and US rural territories orders are shipped via USPS and may take approximately 5 to 12 business days. How long will it take to send a package to Hawaii or Alaska? All shipments to Alaska, Hawaii, Puerto Rico and Guam are shipped Standard Shipping via USPS. We do not offer expedited delivery to these locations. In-stock items will arrive 4-8 business days after your order is processed. Orders received by 1PM EST will be processed the same day. Orders received after 1PM EST will be processed and shipped the following business day. We are pleased to offer our customers a one-time price adjustment on the first markdown of full-priced merchandise, within 14 days of the original order date. 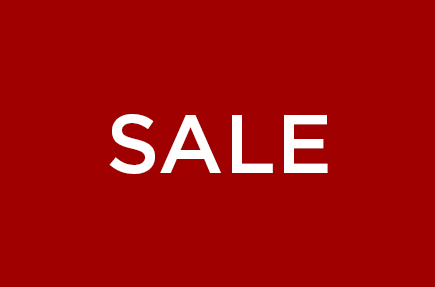 We are not able to offer price adjustments for subsequent markdowns of merchandise. We are unable to offer price adjustments on international orders. Is my credit card charged at the time I place my order? At the time you submit your order, an authorization is placed on your credit card. Your card will be charged the full amount when the items in your order are processed and actually shipped to you. Why are items sometimes out of stock? Every effort is made to maintain the availability of items shown on our website. However, due to popularity and supply levels, some products may not always be available. In the case that an item that you ordered is no longer available, we are committed to communicating this to you as promptly as possible. Are there any differences in paying with a credit card versus a debit card? The main difference is that most credit card companies charge a customer's account when items are processed, which, in our case, is the time the items are shipped. In contrast, most bank debit cards reserve funds at the time of the original transaction, making it appear as if payment has been collected. If an item is not available for shipment, the authorization to your debit card will be released. Depending on your bank, it can take 3 to 5 business days to return funds to your account. I do not live near an EILEEN FISHER store. How can I order from you? You can place an order from our website or through our Personal Shopping Team. To see which pieces are available for purchase online, click “SHOP” at the top of the page. To connect with our Personal Shopping Team, click here..
EILEEN FISHER Gift Cards may be purchased online by US customers only. 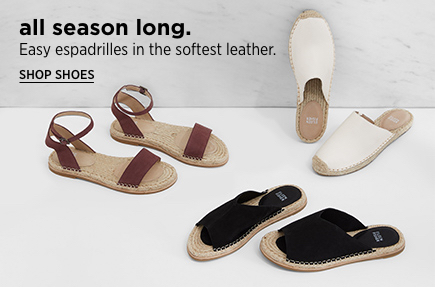 They may be purchased at any EILEEN FISHER retail store or through our personal shopping service by calling toll-free 1.800.445.1603. For more about Gift Cards, click here. How do I place an EILEEN FISHER Ship to Store order? To use this service, select the EILEEN FISHER Ship to Store option at the Shipping tab during checkout and choose a store from the menu. 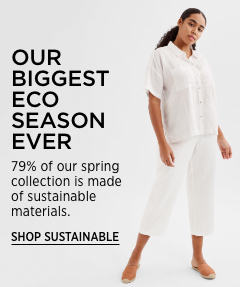 How do I cancel my EILEEN FISHER Ship to Store order? If you wish to cancel your order after it has been submitted, there is a 45-minute window in which you may do so. Click here for details . When will my EILEEN FISHER Ship to Store order be ready for pickup? Once your order has arrived at your preferred store location and has been processed, you will receive an email inviting you to come to the store to pick up your purchase. You or the person you selected will need to bring identification. Unfortunately, due to space limitations in our retail stores, we can hold packages for only 5 days before returning them to the distribution center and issuing you a refund. For store hours, click here. What do I bring with me to pick up my EILEEN FISHER Ship to Store order? You or the person you selected will need to bring identification when picking up your order. Can someone else pick up my EILEEN FISHER Ship to Store order? You may designate someone else to pick up your order during Checkout. Under Shipping Method, click on "DESIGNATE SOME ONE ELSE TO PICK UP YOUR ORDER" and provide that person's name and daytime telephone number. How long will the store hold my EILEEN FISHER Ship to Store package? Unfortunately, due to space limitations in our retail stores, we can hold packages for only 5 days before returning them to the distribution center and issuing you a refund. Can I place a Ship to Store order for pickup at an EILEEN FISHER retail store in the UK or Canada? At this time, our Ship to Store service is only available in the United States. How can I tell if my Gift Card was applied? To redeem a Gift Card with your order, you must do so in your “Shopping Bag” BEFORE you click the “Proceed to Checkout” button. Click here for details on how to redeem your Gift Card. When you apply your Gift Card to your order, you will see the value deducted from your order’s subtotal in the “Shopping Bag. To submit your order, you will need to click the “Proceed to Checkout” button to enter your billing, shipping and payment information (if required). You will have the chance to review your payment breakdown on the Order Review page before submitting your order. Once you submit your order, you can review your payment information by logging in to the My Account section of our website, clicking on the order number link in your Order History and viewing the complete Order Details. What is EILEEN FISHER, INC’s Digital Accessibility Statement? At Eileen Fisher, we are committed to accessibility, diversity and inclusion. We believe all of our customers and consumers should be able to have equal and effective access to our website as well as our retail products and services. Our target accessibility standard is the W3C Web Content Accessibility Guidelines (WCAG) 2.0 Levels A and AA. To meet this standard, we have dedicated substantial resources to a digital accessibility compliance effort, which includes designing, developing and testing our website and other digital content to ensure that they meet or exceed the above standards. We also work to ensure that our support documentation and services meet accessibility requirements. We collaborate with advocacy groups, industry partners and vendors to identify areas that need improvement. For questions about your online order, including questions related to technical issues, accessibility, auxiliary aids or services, contact us in one of the following ways. Support is available Monday through Friday 9 a.m. to 10 p.m. EST, and Saturday 9 a.m. to 5 p.m. EST (excluding U.S. holidays). • Call us at 1.800.445.1603. For those who are deaf or hard of hearing, dial 711 to connect to the Telecommunications Relay Service (TRS).